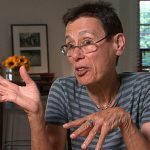 Courtesy of the artist:Choreographer Yvonne Rainer will be celebrated at a mini-festival Oct. 15-19 presented by Philadelphia Dance Projects. 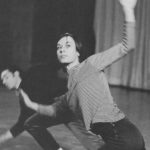 Beginning in 1962, Yvonne Rainer, along with other dance innovators of the last half-century, experimented at the Judson Church in lower Manhattan. They became the Judson Dance Theater, and by 1964 they spun off in their own orbits without losing touch with one another. Rainer wrote her famous “No Manifesto,” which attempted to negate American dance conventions. Rainer now says the manifesto “dogs my heels,” but some of its dictums continue to shape contemporary dance to this day. Walsh has been recognized for decades for his film work, and his documentary on Rainer’s life is his directorial debut. It premiered at the Berlin International Film Festival in 2015, the same year he received a Guggenheim Fellowship. The title comes from Rainer’s 2006 memoir, Feelings are Facts, a truth expressed by one of her psychotherapists. In a recent phone conversation, Rainer spoke of her parents’ decision to send her away at around age 5 to a boarding school. Her shockingly cool and intellectual dance Trio A was created in 1966, initially as the first part of a larger work titled The Mind Is a Muscle. This dance marks her rejection of audience seduction, elaborate smiles, flourishes, and spectacle. Yet at times her work shows a possibly unconscious neoclassical sensibility, as in Trio A, when her pointed toe skitters through a ronde de jambe like a pebble skips across a pond.